Situated in the north of Vietnam, Hanoi – the capital city – is the country’s most popular travel destination. It is not too difficult to understand why holidaymakers favor Hanoi since the metropolis is regarded as a cradle of more than a thousand years of cultural heritage. Yet, there is a lot more for you to discover. 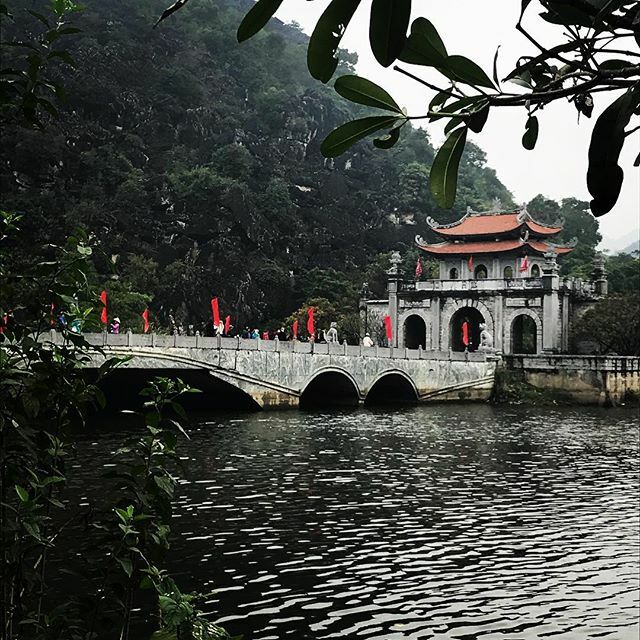 When you are already in Hanoi, do not hesitate to pack up and delve deeper into the neighboring areas, some of which are listed in “the 50 most beautiful places in Asia” compiled by the prestigious travel magazine Condé Nast Traveler. Despite lacking the bustling urban life compared to its southern counterpart, Northern Vietnam will impress you with a serene way of life, surreal landscapes and mysterious spiritual sites. 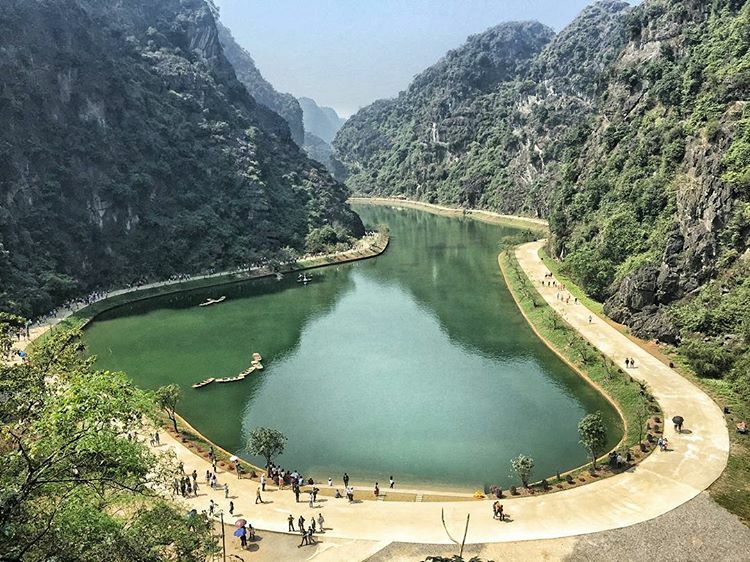 Here is a list of 20 amazing day trips from Hanoi that will definitely bring you mind-blowing experiences as well as deepen your knowledge of Vietnamese cultures and traditions. 9. Make your own pottery in Bat Trang Pottery Village! 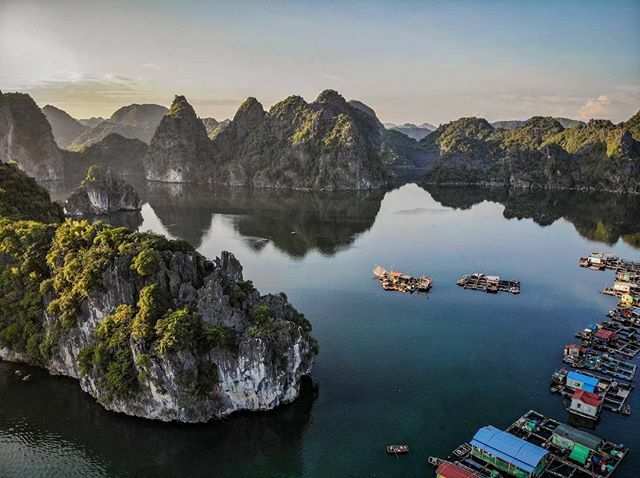 Recognized as a UNESCO World Heritage natural wonder, Ha Long Bay has more than 2,000 idyllic limestone islands and attracts millions of tourists every year and never fails to awe any of them. After a three-hour drive from the capital city, you will find yourself drifting on a cruise heading to Thien Cung (Heaven Palace) and Sung Sot (Shocking) caves. Walking inside the caves, they will give you an impression of visiting art museums with abstract sculptures formed by stalactites and stalagmites. It is cool to try guessing what the rocks represent and discuss it with your companions. What completes the trip is a sumptuous seafood lunch provided on a boat in the middle of the ocean. Do not forget to tell the guide about your allergies beforehand. For the afternoon session, you can have a great time kayaking around to discover small hidden caves and experience the life of local inhabitants in a rusty fishing village. 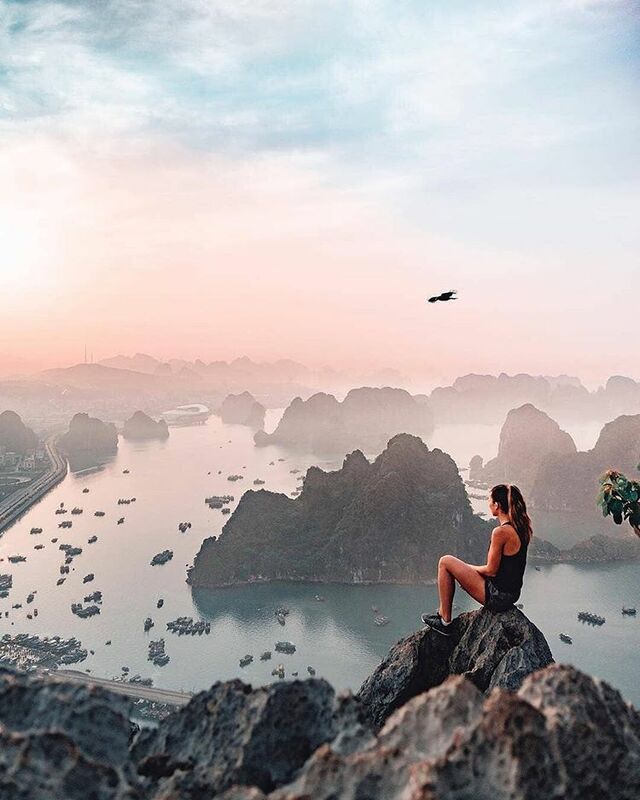 Travel goal: treating your eyes with breathtaking scenery of Halong bay from above. This is just a small corner of Thien Cung cave. There’s more for you to discover. Fill your tummy while engaging in a walking tour with one of the most famous Hanoi specialties: “Bun dau mam tom”. 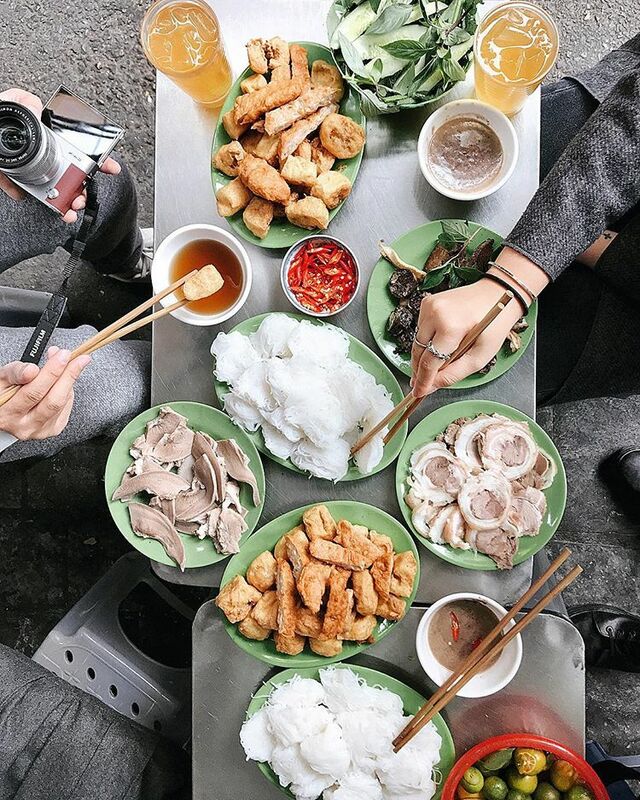 The best part of travelling is getting the chance to sample the local cuisine, especially when Vietnam is known for the heaven of street food. A local guide will show you around the Old Quarter and stop by a local eatery for you to have a tasty dish of Banh Cuon. Then, you will continue until you reach an outdoor barbeque stall where you can try Banh Mi Hanoi. After that, the last stop is dessert. You can choose either famous Egg Coffee or a cold beer. 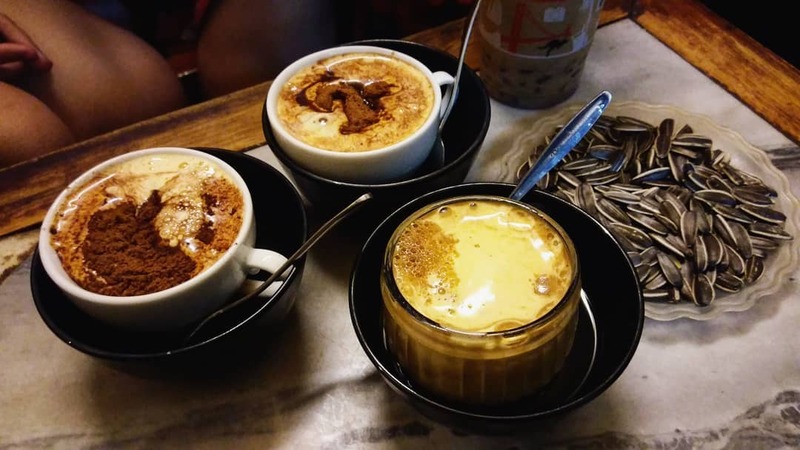 Egg Coffee at Giang coffee shop. Rich texture and amazing taste will elevate your palate. Don’t just read, fill your tummy with real yummy Hanoi street food now! 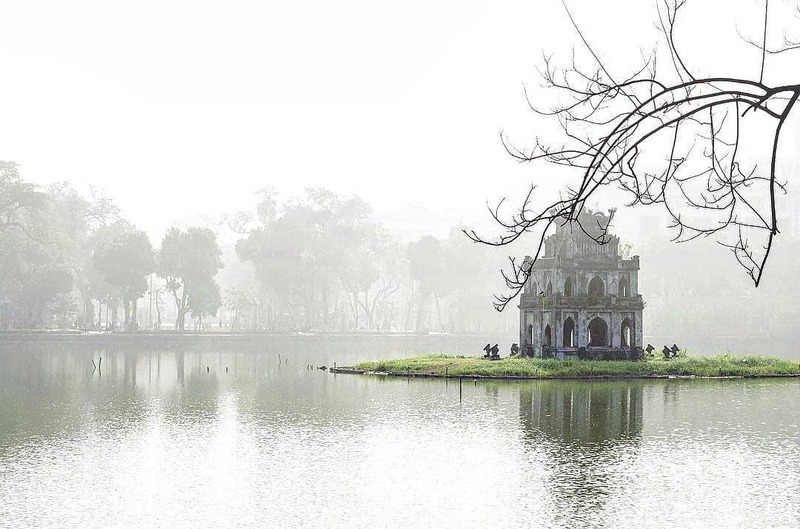 Hanoi’s iconic view: Turtle tower in the middle of Hoan Kiem lake. 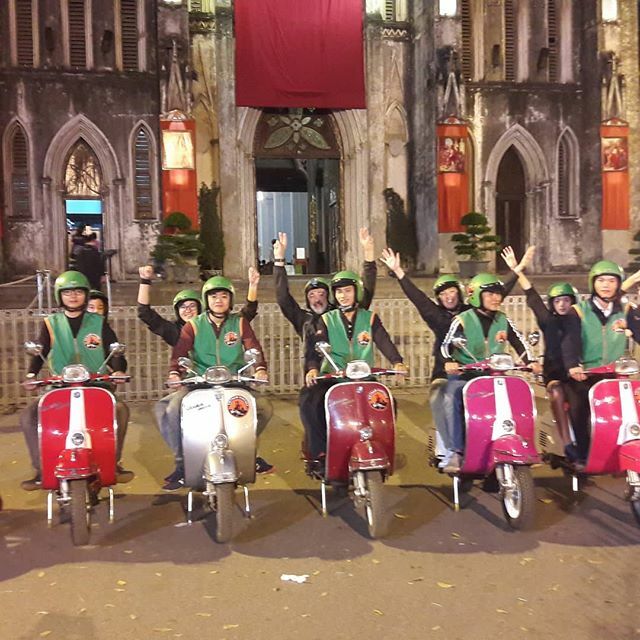 Hanoi city tour starts at eight in the morning, encouraging tourists to experience Hanoian spirits from dawn to dusk. Going on this tour, you will be able to visit Ho Chi Minh Mausoleum, the resting place of Vietnam’s former president – Uncle Ho. Temple of Literature, the first university in Vietnam, is also a highlight of this trip. 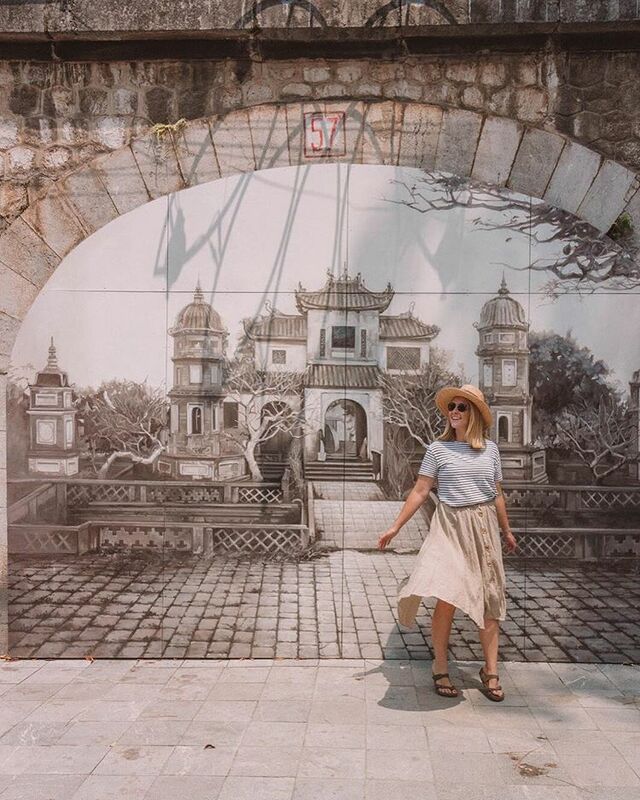 Together with other sites such as Bat Trang Pottery Village, Tran Quoc Pagoda, the Old Quarter, and Ethnology Museum, the tour around Hanoi will equip you with knowledge of a thousand years worth of history while chilling in the slow-paced and tranquil lifestyle. 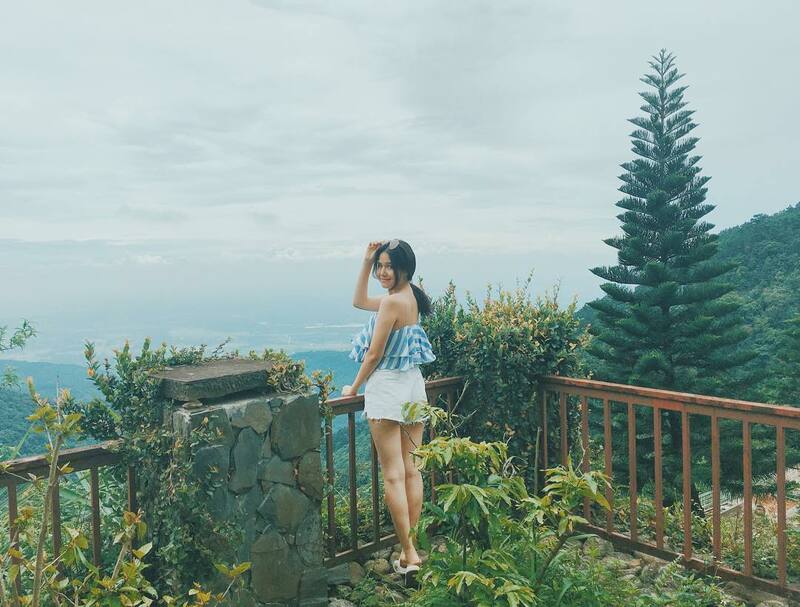 Since you will pay a visit to some historical and solemn places, shorts, mini-skirts, and sleeveless shirts should be avoided. So will you go on a date with Hanoi? 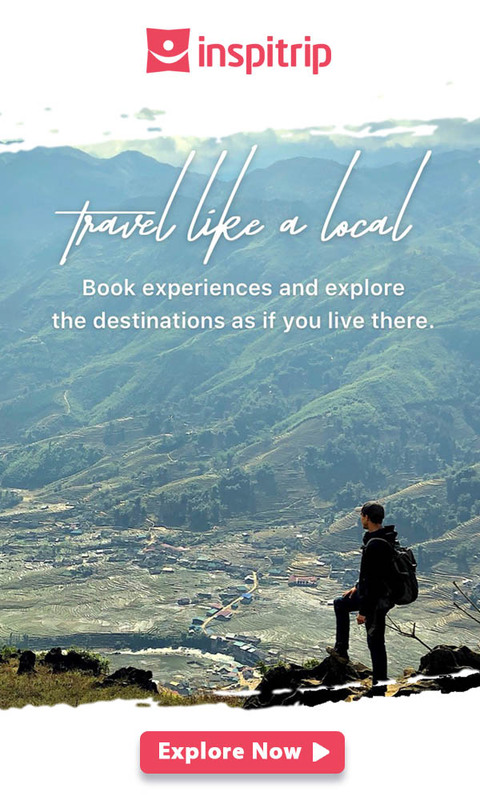 Explore more now! The Vietnamese usually visit Temple of Literature before important exams to pray for confidence and good luck. 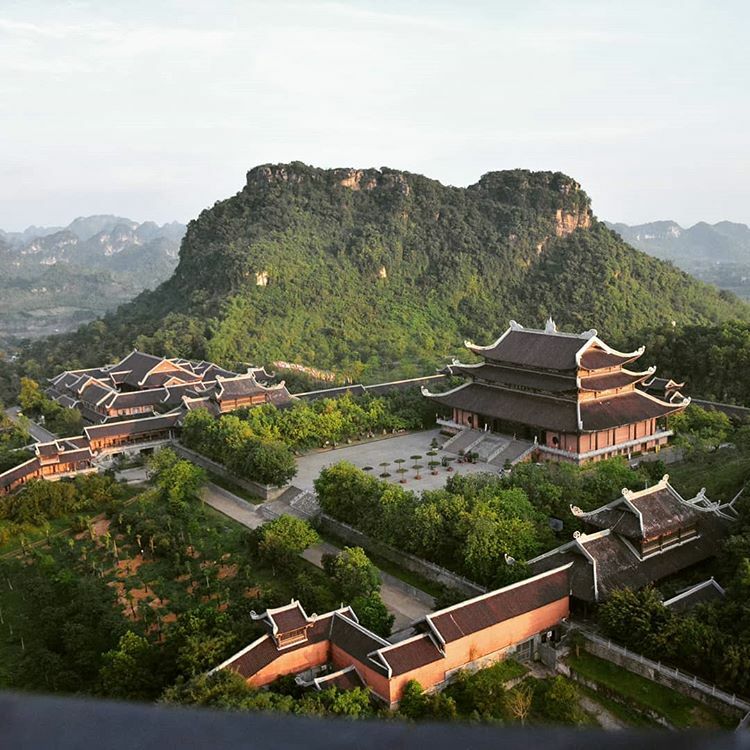 Trang An scenic landscape area is a complex offering a dual world heritage UNESCO’s world heritage site for both cultural and natural features – a must-see destination for around-the-world nomads. 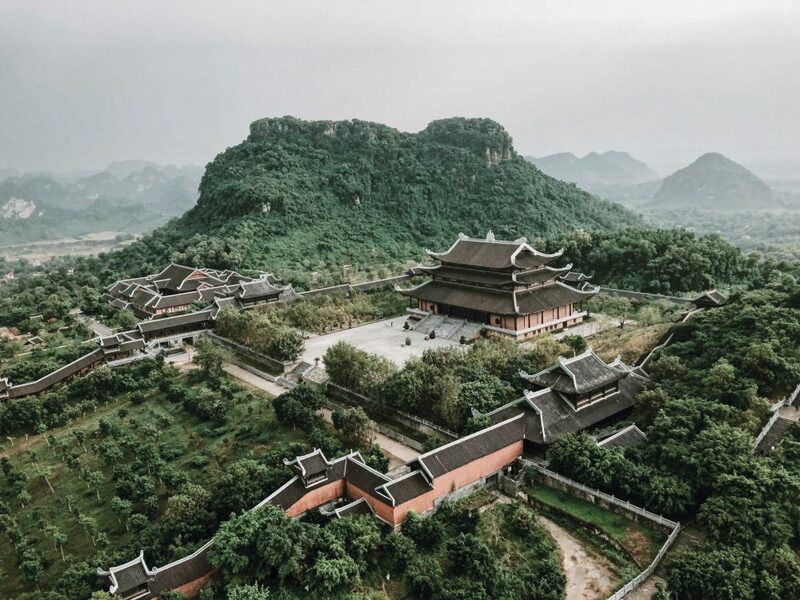 Located in Ninh Binh Province which is 100 km away from Hanoi, Trang An Complex and Bai Dinh Pagoda are must-have items in every traveler’s itinerary. Bai Dinh Pagoda is renowned for many regional records: the most spacious pagoda, the biggest copper bell, the most Arhant statues, the biggest open space in Vietnam, and the tallest gold-plated copper Buddha statue in the Asia. 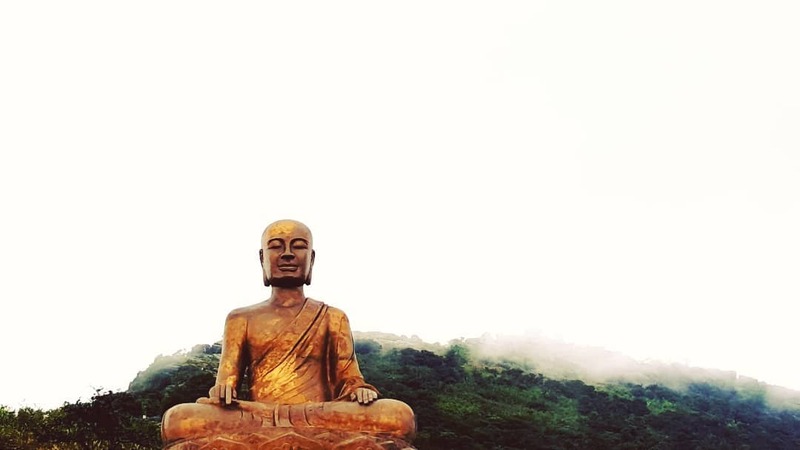 Since you will have to climb flights of stairs to get to the Buddhas, I suggest wearing comfortable clothes and trainers instead of tight clothing and high heels. At lunch, tourists can savor a buffet with local specialties like fried rice and goat meat. Coming to Trang An Complex, you should allocate 2 hours on the small boat drifting along breath-taking scenery to explore the cave complex and immerse yourself in the backstory of each cave told by a local guide. Get on a rowing boat to travel along the small river with scenic mountain and picturesque green fields landscape with Inspitrip now! 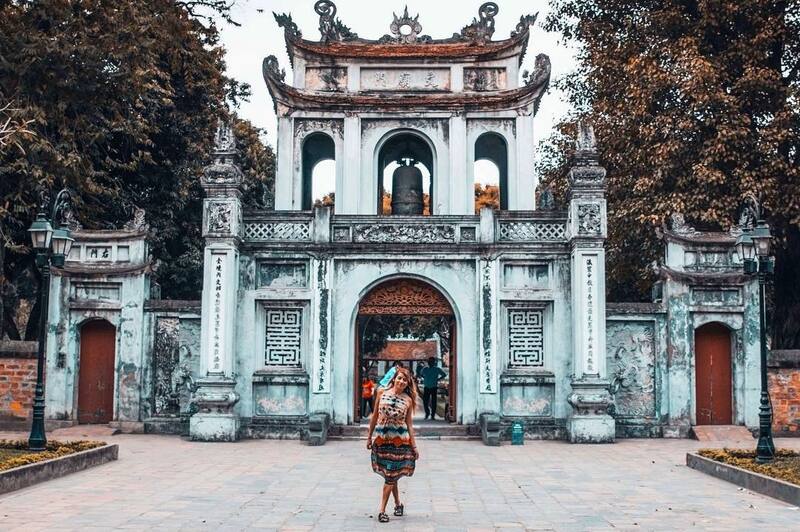 Another amazing day trip from Hanoi that you do not want to miss is a visit to the Perfume Pagoda, or Huong Pagoda – a spiritual destination of Vietnamese people. You can enjoy mountain views while rowing on Yen river and trekking up to the main pagoda. In accordance with Buddhist culture, you should be wearing outfits that cover both your shoulders and knees, or else you won’t be allowed to enter. 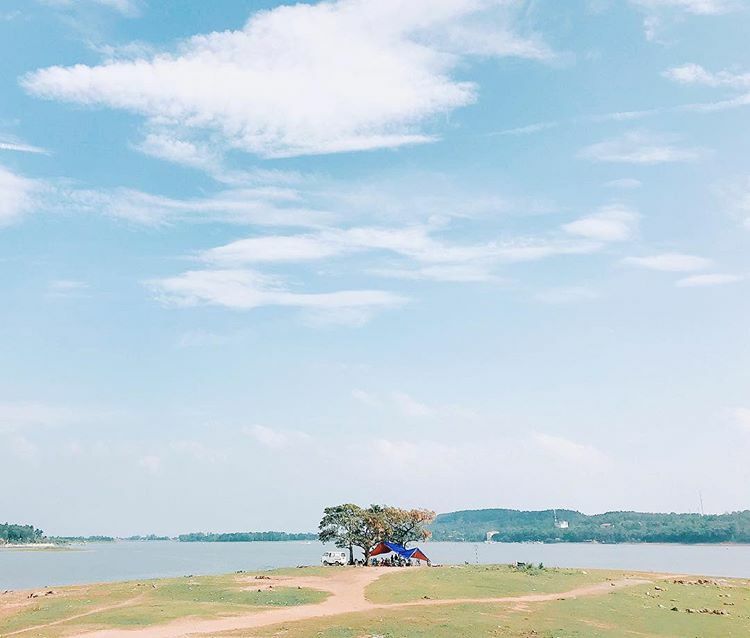 Another thing worth noting is that it is not a good idea for you to visit Perfume Pagoda during Vietnamese national festivals because at those time it is overcrowded with people, impeding the appreciation of the scenic beauty. Explore perfume pagoda with Inspitrip now! 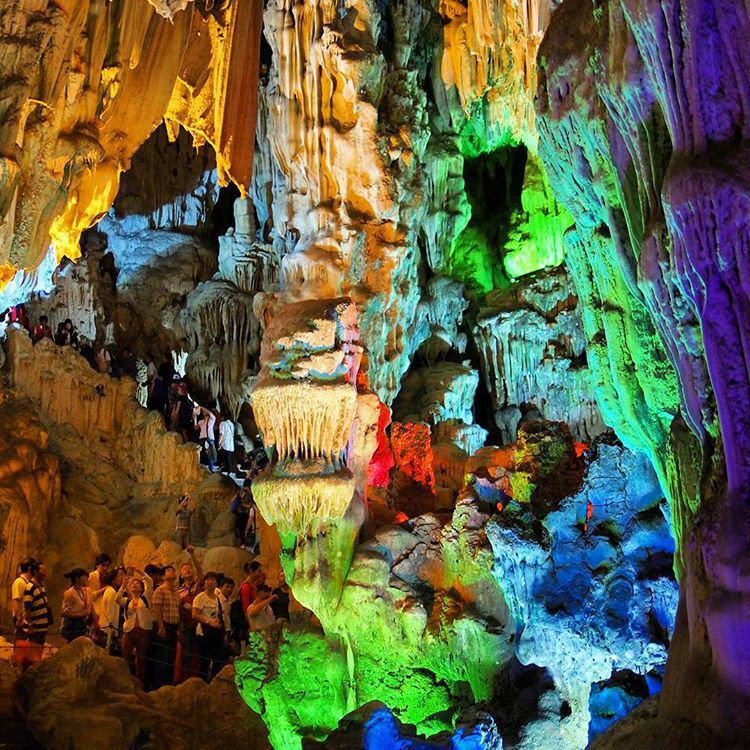 There is a huge religious festival that is held where people from all over Vietnam make a pilgrimage up to the cave. The Perfume Pagoda temple – also known as Chua Trong (meaning Inner Temple) is situated in a large cave. 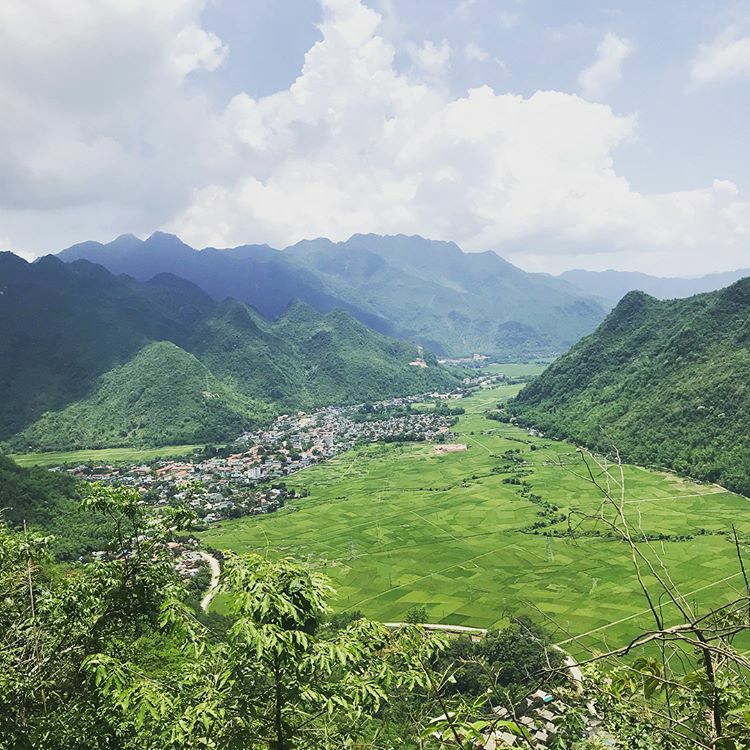 For those who want to escape the bustle of the city and fancy nature, beauty, and cultures of Vietnamese hill tribes, a day trip to Mai Chau can be an unforgettable experience. 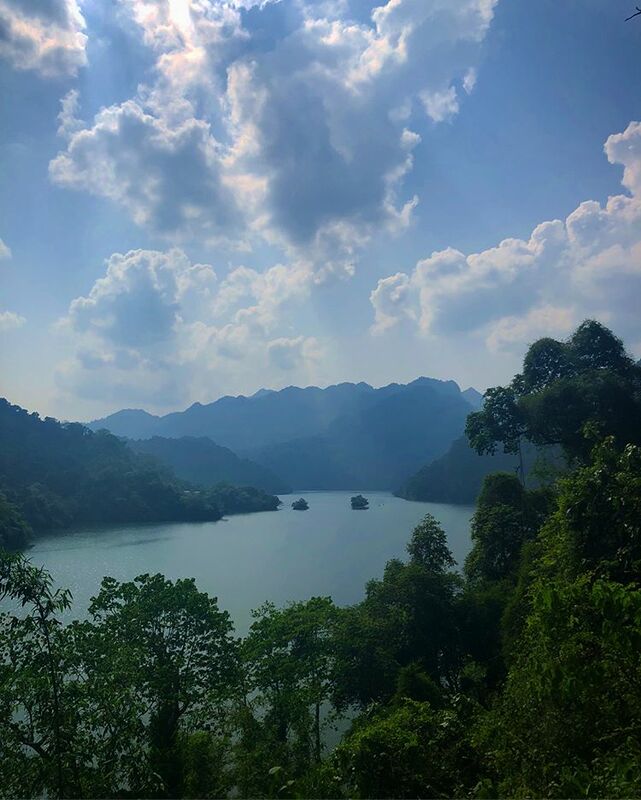 Day trippers to Mai Chau can blend in and learn about Vietnamese ethnic minority groups through first-hand experience as they are offered a unique accommodation – traditional homestay. Besides, the scenery of rice fields and houses built on stilts will surely take your breath away. As a region of elevated mountainous plateau, Moc Chau possesses outstandingly beautiful landscapes and hospitable climate all year round. 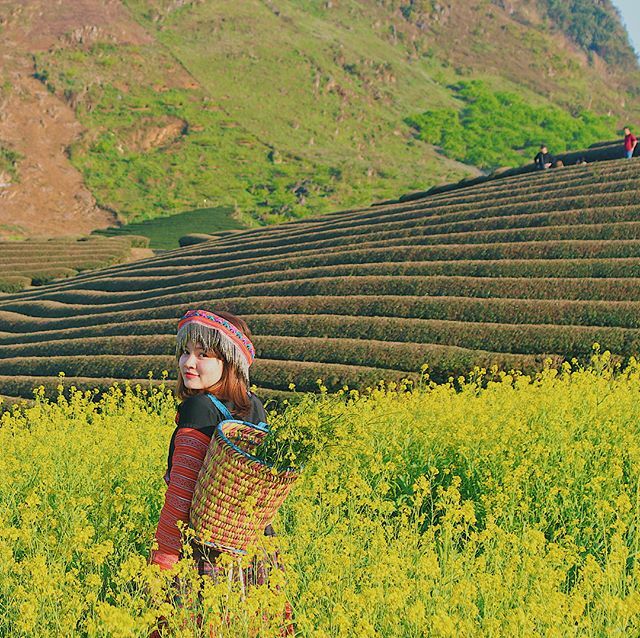 Yet, the best time to make a day trip to Moc Chau is from late January to early February when plum blossoms bloom. At that time, villages and forests are covered in the pure white of the flowers. 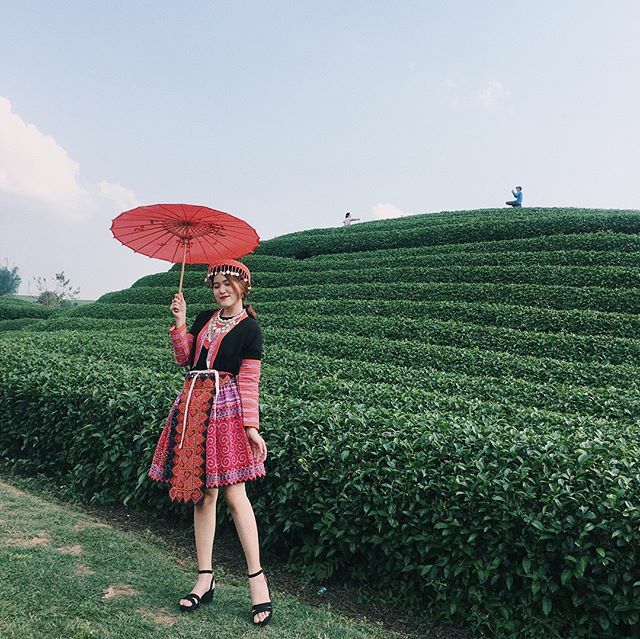 In Moc Chau, you can visit Moc Shan Tuyet where best quality tea is produced to gain insights into the process of tea making and try it by yourself. With over 300 years of history, the newly renovated Ba Vang Pagoda, or Bao Quang Pagoda, has become an appealing tourist attraction in recent years. What entices both domestic and foreign visitors to the sacred place is the record of the largest three-compartment sanctum. 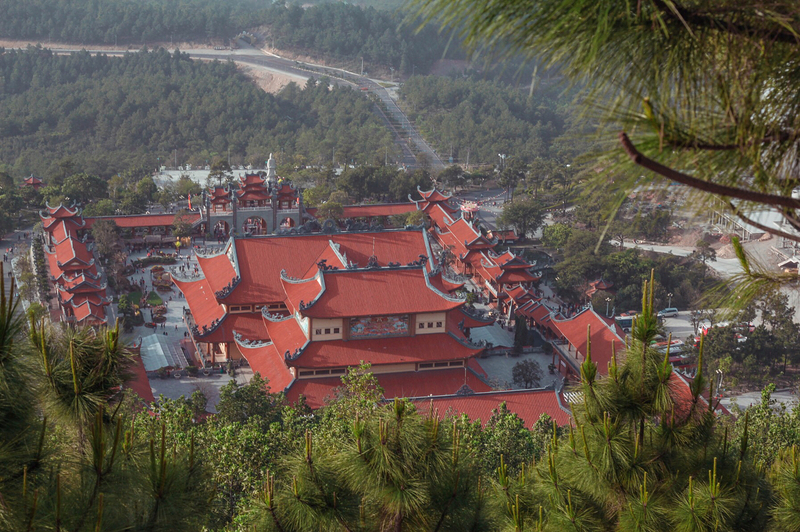 Ba Vang Pagoda is located 340 meters above sea level on Thanh Dang Mountain, Uong Bi City, Quang Ninh Province. Stepping inside, your jaw will drop in front of the glamourous design and the monumental statue of Tam The – three Buddhas representing the Past, Present, and Future. Bear in mind that you should be in knee-length and sleeved clothing to show respect to the Buddhas. Vietnam has long earned a reputation of skillfully handcrafted products. 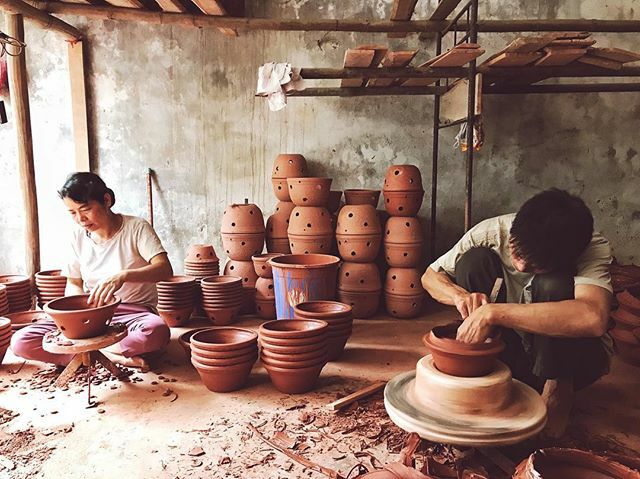 Visiting Bat Trang Pottery Village – the most ancient and famous pottery village in Vietnam, you can discover the ceramic production process and gain hands-on experience of making one on your own. Before leaving, you can stop by the souvenir shop and grab some cute clayware at a reasonable price. 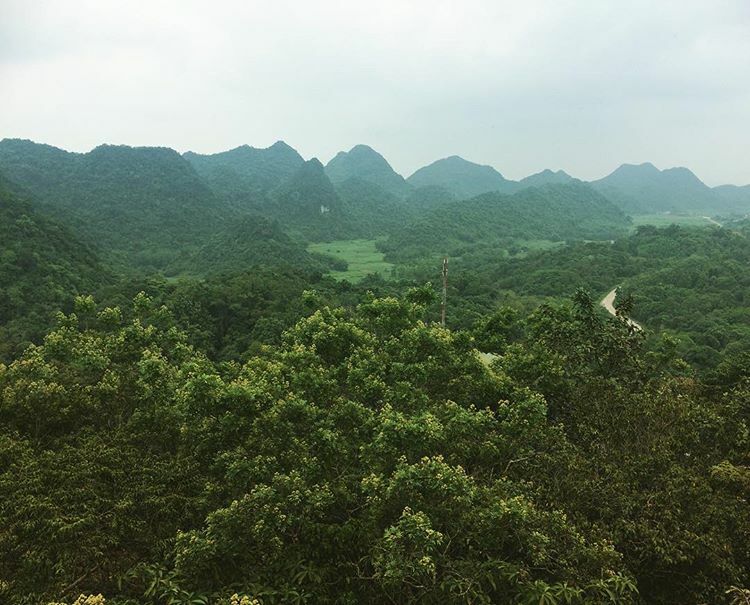 Hoa Lu – Tam Coc is a historical and cultural icon in Ninh Binh Province. Hoa Lu was the first capital city of Vietnam until the King of the Ly Dynasty moved the capital to Thang Long, later known as Hanoi. 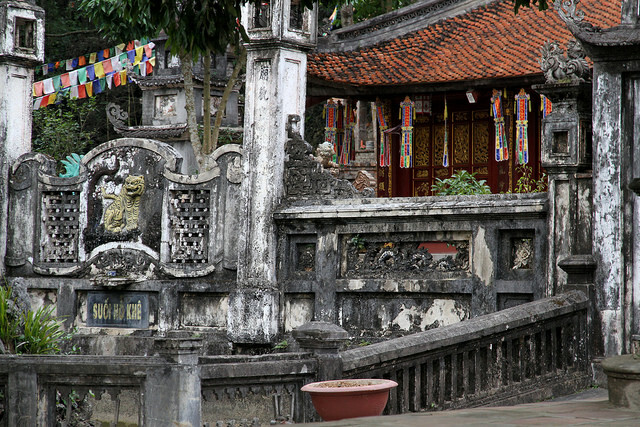 Coming here, travelers can spend time in the mausoleum and temples worshipping the Le and Dinh Dynasties. Boarding a small boat to explore Tam Coc, which literally means three caves, tourists might lose themselves in majestic limestone caves and the scenery of rice paddies along the river banks. You must see it with your own eyes to believe that it is not exaggerating to refer Tam Coc as Ha Long Bay on land. A fun fact is that the Hollywood blockbuster Kong: Skull Island was filmed here. Hopping on a Vespa will enable you to find artsy corner like this one. 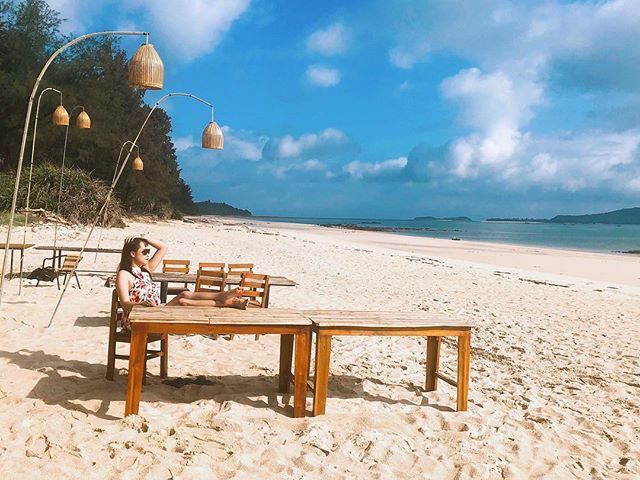 With a pleasantly cool climate and exquisite mountain views throughout all seasons of the year, Tam Dao is ready to welcome tourists at any time. 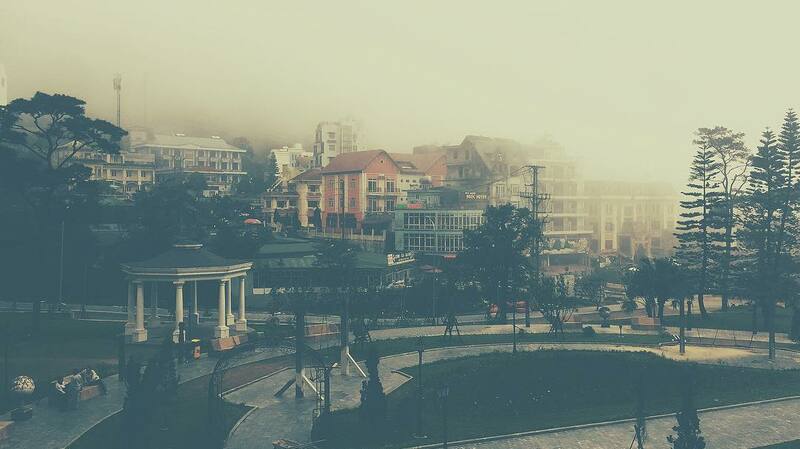 On this trip, you can stroll around the town in the sea of fogs and clouds, creating the feeling of walking in heaven. You can also snap some shots of the French architectural ancient church, then a few steps to the left, the Sky Gate will serve you picturesque scenery. On the top of all those, do not forget to savor the regional specialties – fresh chayote, hill chickens and hill pigs. If you are seeking active adventures in magnificent landscapes, one-day trekking tour in Ba Be National Park may fit your taste. The trek will take you to Coc Toc village where the Tay people fish in the lake for their livelihood, H’mong ethnic village, and vast mountain ranges and valleys. It is advised that you should wear comfortable clothes, bring sunglasses and insect repellent since you will complete a 15-to-18-km trek. The ideal time to visit Ba Be National Park is between October and June when the weather is cooler and more pleasant. It is not a surprise that Co To Island has witnessed a boom in tourist arrivals in the past few years. The remote, untouched terrain, along with its varied sea ecosystem, is all that can be expected from a coastal area. You can easily catch a glimpse of locals’ daily activities, particularly a fisherman hauling freshly caught fish, in crystal clear ocean. Moreover, visitors seem fond of snorkeling for coral reef discovery. 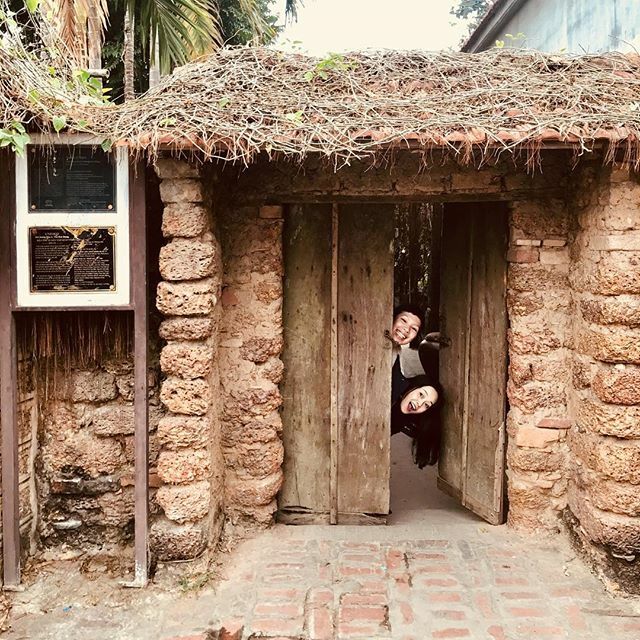 60 km to the west of Hanoi, Duong Lam village in Son Tay town is the first ancient village in Vietnam and a home village to two venerable kings: Phung Hung and Ngo Quyen. This authentic rural village exudes a nostalgic vibe of Vietnam, where houses were still built in laterite bricks and mud. 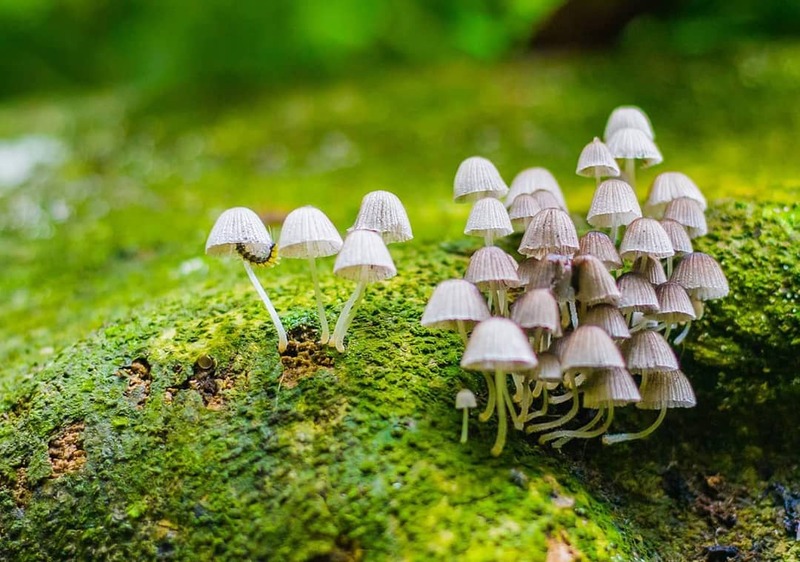 Tourists will be able to relive the past experience of Vietnamese people in the countryside by having a traditional meal with a local host and getting involved in the silk-making process in Van Phuc Silk Village. 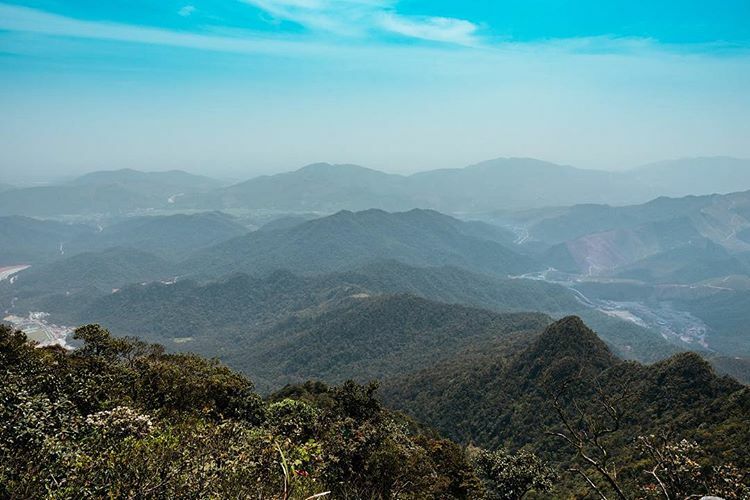 The trip to Yen Tu Mountain is an amazing day trip from Hanoi that is worth taking part at least once in your lifetime. Vietnamese pilgrims hold a belief that anyone who has not come Yen Tu cannot be considered a true religious person, which can reveal the influential value of this sacred place in their spiritual lives. Lying on the peak of Yen Tu, 6,000 meters walking trail from the foot of the mountain, Chua Dong (Bronze Pagoda) is a limelight of the site. Rumor has it that a tap on the pagoda will bring about good luck and fortune. On a side note, two cables are in operation in aid of time-saving and convenient sightseeing. The biggest in Vietnam and the fourth biggest waterfall in the world, a visit paid to Ban Gioc Falls can be eye-opening. 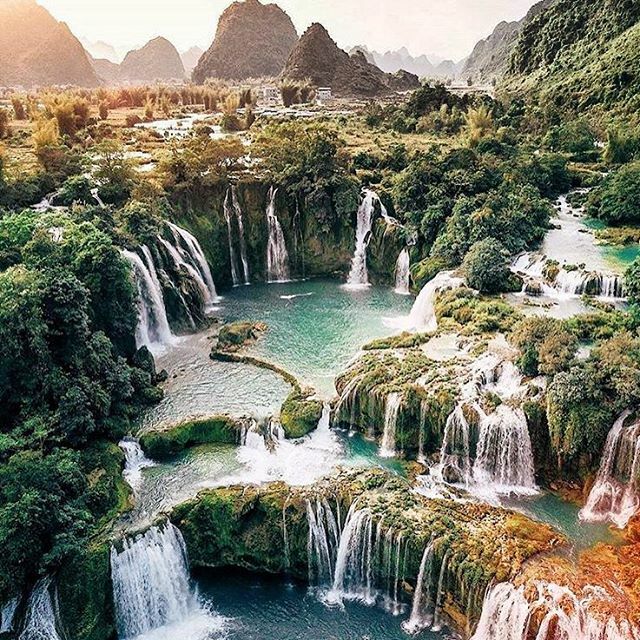 Those who come to the Falls cannot deny the site is of an immeasurable worth that Mother Nature granted Cao Bang Province in particular and Vietnam in general. Despite the exhausting trip to get to the remote mountainous area, the splendor of the waterfall in the pristine condition will worth your while. When the excessive heat of the capital in the summer gets on your nerves, a trip to Dai Lai Lake is just what the doctor ordered. It takes only an hour to get here from central Hanoi. Diverse means of entertainment are provided around the lake. Swimming, going fishing, paddling swan boats, playing golf… will put you at ease in this retreat from noisy downtown. Or you can simply find a place to sit down and seize the moment of fresh air and green space. If you consider yourself a nature and animal lover, Cuc Phuong is a perfect place to go. Ranked in the top 5 largest national parks in Vietnam, the park contains over 200 square kilometers of rainforest. Cuc Phuong was the first national park to be established and the country’s biggest nature reserve, with a wide range of flora and fauna. A large number of tourists come here every year to study butterflies, visit caves and hike mountains. Dry season, which lasts from October to April, is the best period to visit the site to enjoy it to the fullest.